To help kick off Bike to Work Week the boys at The Bike Smith are donating their time and labor to the citizens of Carson City. 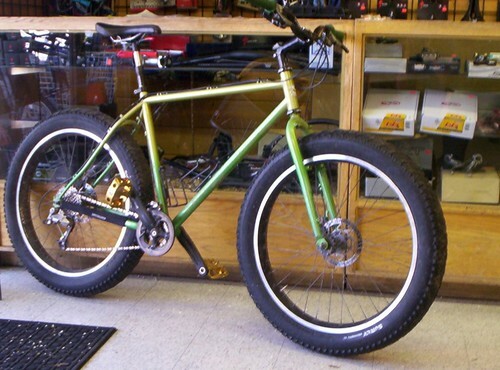 On Saturday, May 10, from 10:00 a.m. to 2:00 p.m, their annual Safety Inspection, Bike Fit and Flat Tire Fix will be held in front of the shop at 900 North Carson Street. Your bike will receive a safety inspection and if any minor repairs are needed, they will do it for you. You will have to purchase the necessary parts if required, but all the labor is free. Bike fit will also be checked. The single most important and often overlooked area of cycling is proper bike fit; this can make all the difference between an uncomfortable ride or an enjoyable commute. There will also be a demonstration on how to fix a flat tire. A very easy skill once learned, though maybe a little hard to grasp until enough experience and confidence is gained to change a flat without assistance. 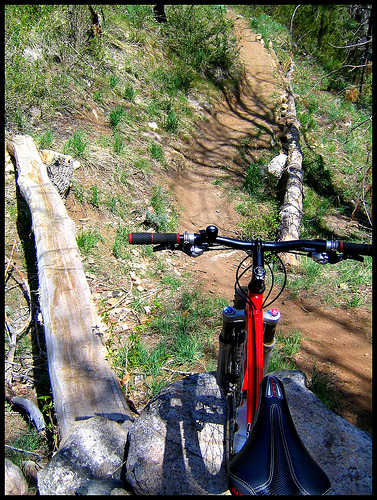 “Bike Smith Mickey” fearlessly launched his Pugsley (above) off of “The Rock” (below). Once again June at Comma Coffee is helping us make Bike Month a whole lot better. On Saturday evening, May 10 at 6:00, Comma Coffee will host Movie Night, sponsored by Muscle Powered. This year the feature will be “Off Road to Athens”, a documentary that follows the top U.S. pro mountain bikers as they chase points to get on the 2004 U.S. Olympic team. Anyone who followed this race, via Velo News, may remember the eventual arbitration hearing that took place……….???? Comma Coffee is also one four Commuter Stations on Bike to Work Day, Friday, May 16. 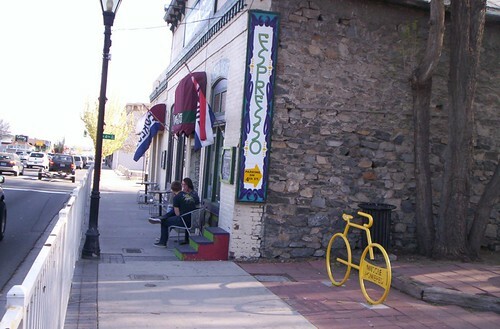 From the hours of 7:00 a.m. to 9:00 a.m. bicycle commuters will be able to pick up a free cup of coffee and a Carson City Bicycle Route map.